Every Mother’s Day, mothers are celebrated for the significant role they play in their children’s lives. And, they should be celebrated. Mothers go through a tremendous amount of pain to give life to their children. Mothers routinely sacrifice careers, sleep and more to ensure their children’s happiness. Mothers love their children unconditionally no matter how good or bad they are at raising them. Father’s Day falls a few weeks after Mother’s Day. I generally wonder, what’s the point? Fathers generally don’t go through much pain to bring their children into the world. When my first daughter was born, my wife was in labor for several hours. I was by her side the entire time but where she was dealing with contractions every few minutes, I recall being slightly bored because the only game on was an NBA Western Conference playoff game between the Dallas Mavericks and some other team, and I like the Chicago Bulls. I observed this trend of fathers not being present in their children’s lives over and over again while I worked on a residential treatment campus for adolescents. Of the over four hundred youth I worked with, I can recall only about a dozen who had a positive male role model in their lives, let alone a father figure. Almost every single one of those kids had a mom, or an aunt or a grandmother or some other woman who served as a strong maternal influence in the child’s life. All considered, fathers have it pretty easy compared to mothers. Physically, there’s generally very little pain for men associated with child birth. As far as careers go, I have never heard of a father being made to feel guilty by other fathers for being a working parent. Finally, even if I were to only see my kids every once in a while, I’m already doing more than almost a third of fathers out there. Purpose one is to challenge each other to raise the bar of expectations for what constitutes acceptable fatherhood. I was and am fortunate to have a good relationship with my father. But, I fully recognize that there a lot of young fathers and future fathers who have never had a positive male role model in their life. Purpose two is to provide support for dads and teach them what it means to be a good father while also not being too proud to learn something new. When inevitably, my kids give me a coffee mug on Father’s Day that says “World’s Greatest Dad”, I’ll appreciate it but the competitive side of me will scoff a bit, especially as half the time I feel like a a completely clueless dad. “World’s Greatest Dad”? How tough is that when barely any guys are showing up to play? 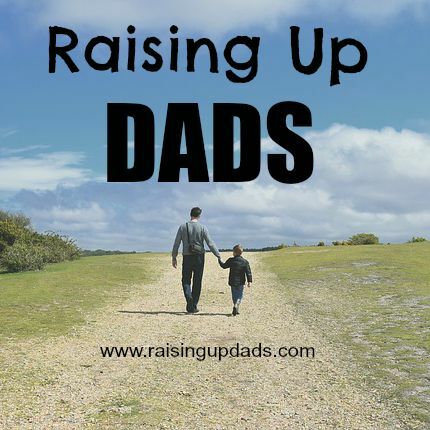 Feel free to comment below, subscribe by email or follow @raisingupdads on Twitter and Facebook! This entry was posted in Articles on Fatherhood and tagged basketball, Chicago Bulls, dads, Dallas Mavericks, family, Father's Day, fatherhood, fathers, kids, Mother's Day, motherhood, mothers, NBA Western Conference, parenthood, Parenting, single-parent homes. Bookmark the permalink.